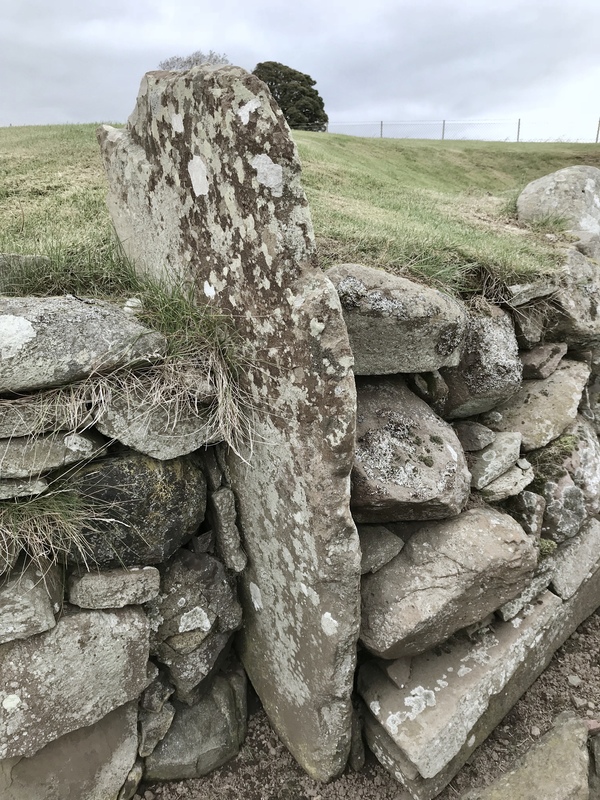 One of my continuing interests is old stone works and I would love to visit the wonderful sites on Orkney, but we are lucky that in this area, we live very close to a trio of earth houses and on Saturday I visited Carlungie. Thought to have been built in the first centuries AD, Carlungie earth house was excavated in 1951-52. You approach through a field, a little gate allows you into the field and then on to the site of the earth house. A little microcosm of time in a field. These tunnels were originally thought to have been defensive homes or dwellings but apparently the current thinking is that they were storage areas. Souterrains were constructed all over Scotland and as well as Carlungie we have Ardestie Earth House and Tealing Earth House within five miles. I have another Studio Conversation to share – very excited about it – coming soon. Meanwhile enjoy our ancient heritage.